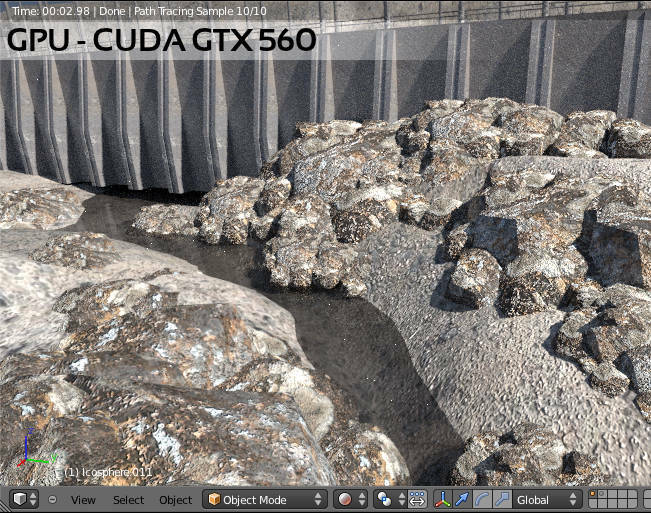 This is just a quick comparison to show the difference between rendering with the CPU and with the graphics card (GPU). 40.03 seconds compared to 2.98 is a fairly large difference and it becomes very apparent when waiting for a render. I hope Blender Cycles gets OpenCL (non-proprietary and available to both Nvidia and AMD video cards) support soon, the difference is pretty large. This also helps show what an improvement the GPU is over the CPU for certain tasks in general. This has yet to be fully utilized in games, hopefully once OpenCL gets going we'll see games take full advantage of it. cool graph ha ha ha.